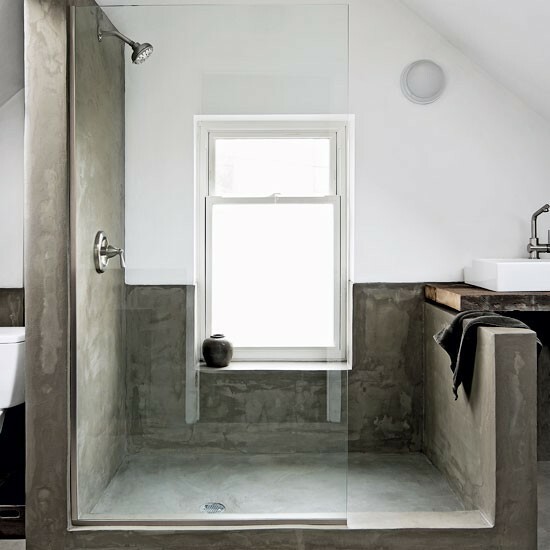 Modern design and clean lines are definitely becoming more popular, but a raw material overlooked most of the time is cement or concrete. Most every house has it as their sidewalks and foundation walls but very rarely is it carried into the interiors. 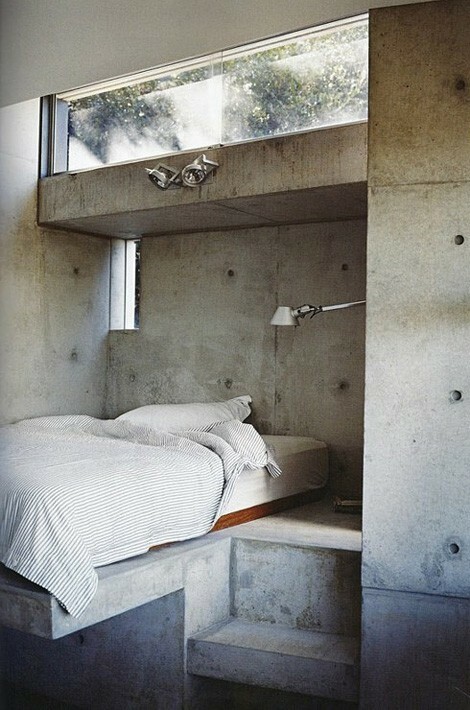 I have featured a few projects that did bring concrete inside the home and it looks impeccable! I love the combination of the seamless cement wall and fireplace in the living room image especially when paired with warm textures, fabric, furniture and rugs! This look gets my vote, and I love the fact that I have a father who just happens to own a foundation business! Double Bonus!